Sydney, March 28 (IANS) The city of Perth in Western Australia (WA) will no longer play host to the Hopman Cup, Tennis Australia confirmed on Thursday. Instead, the mixed tournament format will be replaced with an all men's event called the ATP (Association of Tennis Professionals) Cup, reports Xinhua news agency. Played across three cities, Perth will join Sydney and Brisbane as the hosts of the new competition which is set to feature 100 of the world's top male players. "With 750 ATP ranking points and approximately 22 million Australian dollars ($15.6 million) in prize money, the ATP Cup is guaranteed to attract the best international tennis players to Perth every summer," WA tourism minister Paul Papalia said. "Tennis holds a special place in the hearts of many WA people, myself included, and this new event will ensure we build on that tradition and provide fans with more opportunities to experience world-class tennis in Perth. "This new tournament is expected to attract even more media interest, which will provide a valuable opportunity to promote Perth and our state to a global audience," Papalia said. While the WA government and Tennis Australia are viewing the new tournament as a positive move, others have voiced their disappointment at losing the Hopman Cup and its rich 31 years of tennis history. 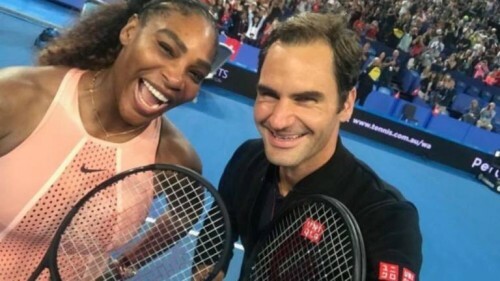 "It was a wonderful event that was embraced by Perth," Hopman Cup founder and former tennis star Paul McNamee told the ABC. "Nothing could've been embraced by the people of the city more than Hopman Cup in Perth, so my immediate feeling is sadness that it's not going to be there any more, and concern about where the Hopman Cup may be in the future."